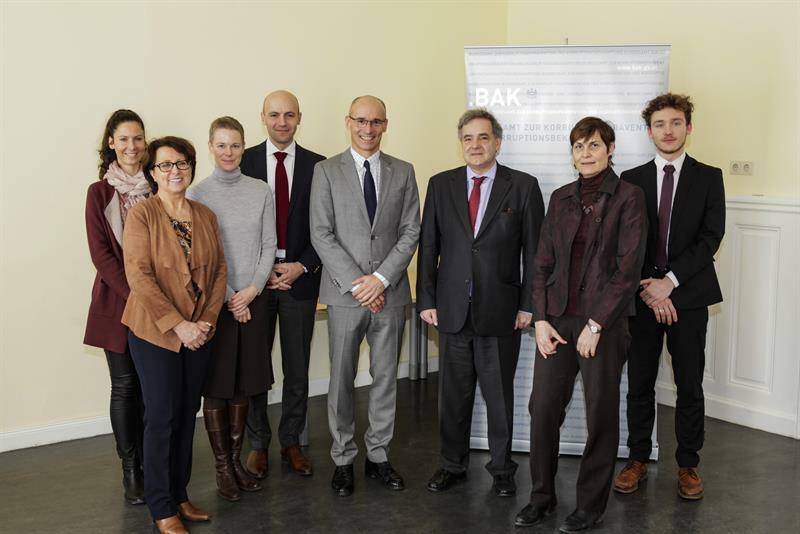 On 30 January 2019, Mr François Saint-Paul, the French Ambassador, visited the Federal Bureau of Anti-Corruption (BAK) accompanied by three staff members of the French Embassy. With the adoption of the Action Plan for the National Anti-Corruption Strategy (NACS) by the Council of Ministers on 16 January 2019, the Austrian Federal Government clearly pointed the way to a corruption-free administration based on integrity. At the BAK, prevention has top priority. Not only do we want to fight corruption, but we want to prevent it from happening. 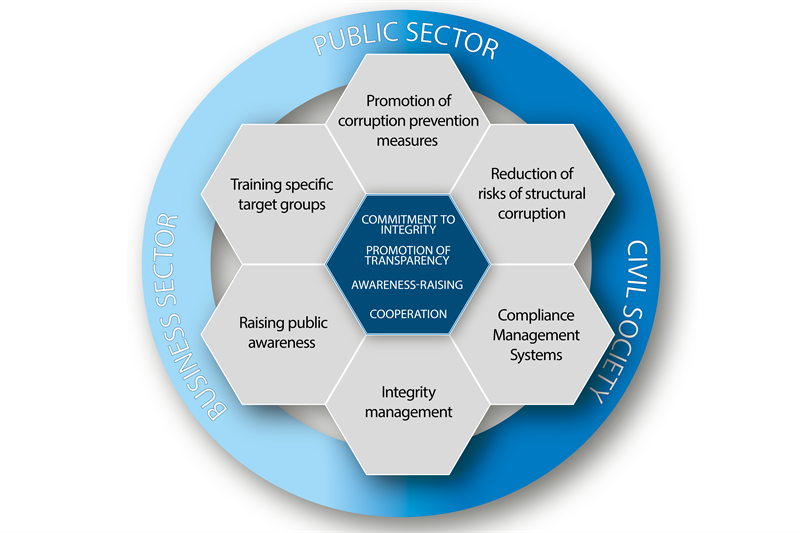 To this end, the BAK provides public sector organizations with comprehensive analyses of corruption risks as well as advisory services covering issues of corruption prevention, compliance, risk and value management, and drawing up mission statements. 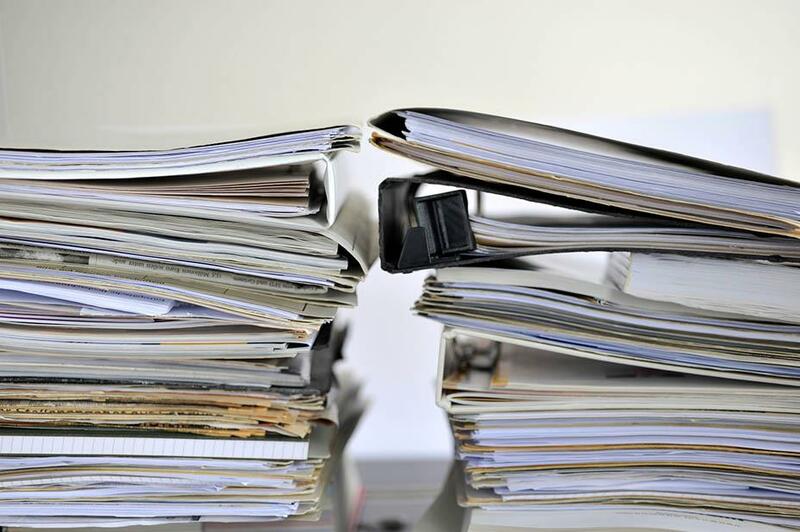 The BAK Operational Service processes more than 300 investigation cases annually. 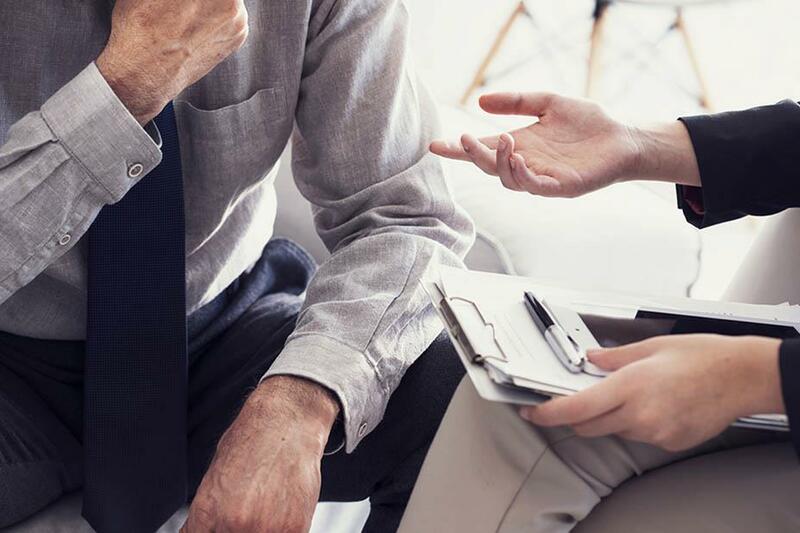 BAK investigators work on cases of bribery, corruptibility, offering or accepting an advantage, abuse of official authority, breach of official secrecy, breach of trust, agreements restricting competition, and other punishable acts. Lectures, trainings, seminars, and other events are crucial parts of corruption prevention. Not only does BAK staff teach at basic training courses of the Federal Ministry of the Interior, the BAK also provides advanced training courses, and basic training programmes for integrity officers. The Anti-Corruption Day is the annual highlight of the event calendar. From 20 to 21 March 2019, some 2,000 representatives from the public sector, business, civil society and international organizations participated in the 2019 Global Anti-Corruption and Integrity Forum, entitled "Tech for Trust", in Paris. The BAK was represented by Martina Koger, Head of the Department of Prevention, Education and International Cooperation. From 22 to 24 January 2019, the tenth Annual Conference and General Assembly of the International Association of Anti-Corruption Authorities (IAACA) was held at the Vienna International Centre under the chairmanship of Dr. Ali Bin Fetais Al-Marri, President of the IAACA and Head of the Office of the Attorney General of Qatar. In 2015, the BAK started conducting studies to examine corruption including underlying causes and mechanisms of corruption. Since then, and in fulfilment of the legal mandate, the BAK has been striving to develop efficient preventive measures against corruption on the basis of insights gained from these studies. 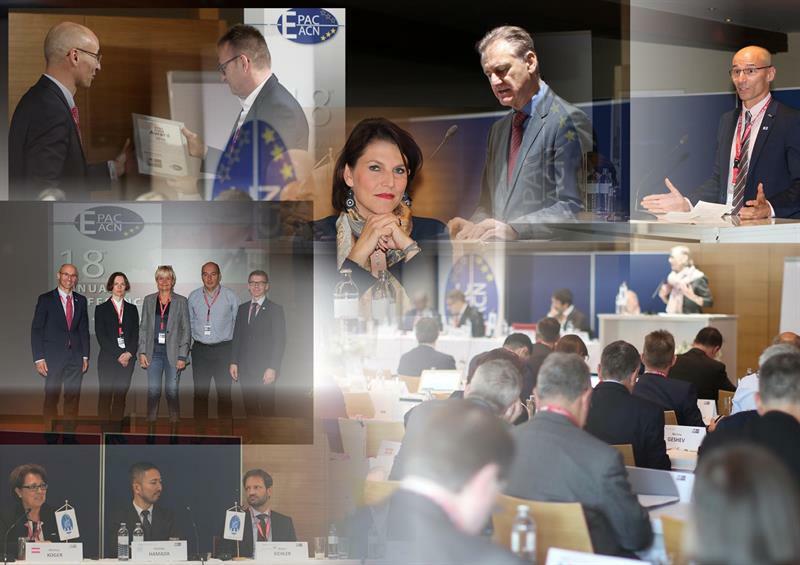 More than 100 delegates representing 30 member countries attended the 18th EPAC/EACN Annual Professional Conference and General Assembly, which was hosted by the Austrian Federal Bureau of Anti-Corruption (BAK) and took place from 22 to 24 October 2018 in Rust, Austria. 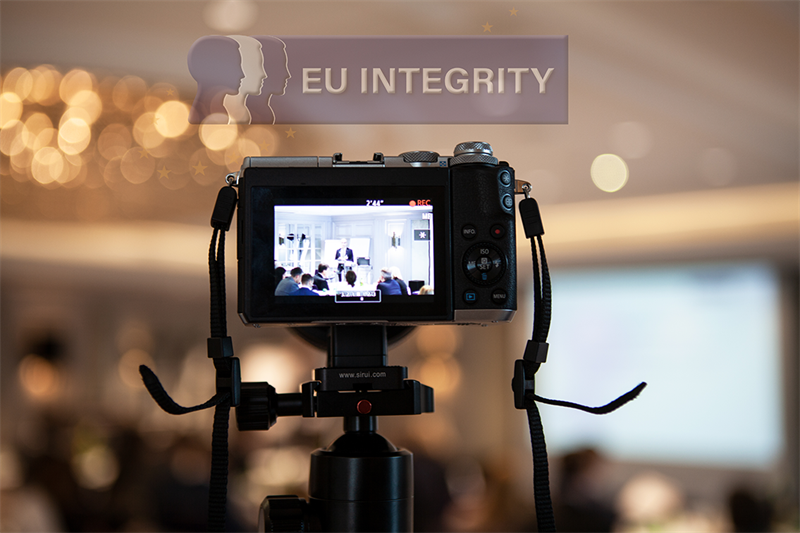 On 21 and 22 June 2018, the international Kick-off Conference of the "EU Integrity” project took place in Vienna, with approximately 80 participants from over 20 EU countries. 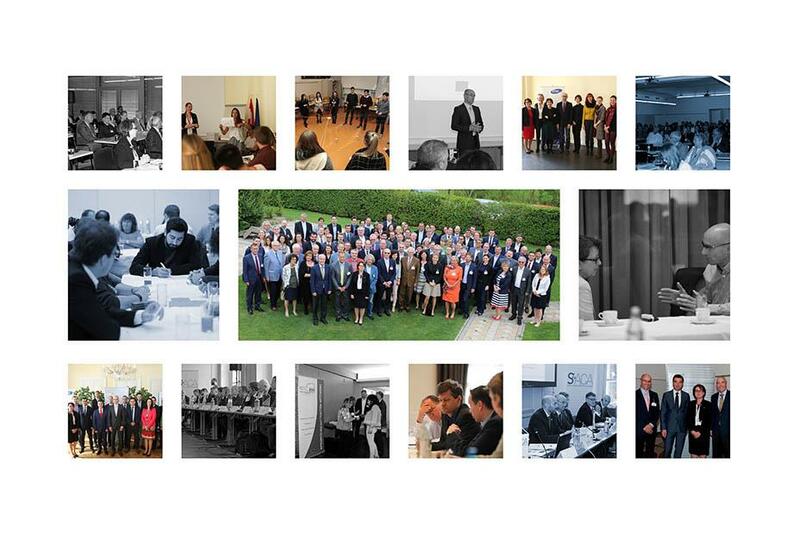 The project’s overall objective is to facilitate a multilateral, constructive dialogue and wide-ranging exchange of experiences and best practices between different sectors in order to sustainably promote integrity in the EU. Only if you activate the following links a connection will be established to YouTube, Twitter or Facebook.